Use a more finely ground cement. 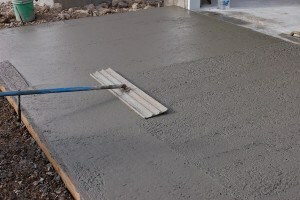 Concretes made with high early strength (Type III) cement bleed less because the cement is ground finer than normal (Type I) cement. Use more cement. At the same water content, rich mixes bleed less than lean mixes. Use fly ash or other pozzolans in the concrete. If concrete sands don’t have much material passing the No.50 and 100 sieves, blend in a fine blow sand at the batch plant. The mixture of concrete is a very precise science. If the appropriate proportions of cement, fine and coarse aggregate, and water are not properly mixed together, various concrete failures can result and cause structural problems for the project. Concrete bleeding, one of these failures, “is a form of segregation where some of the water in the concrete tends to rise to the surface of the freshly placed material”. Bleeding is primarily the result of a too high water saturation level in the mixture, such that the aggregate particles cannot absorb the excess moisture. Instead of soaking into the rocks and sand, the water floats up towards the surface of the recently poured concrete because it has the lowest density of all the ingredients in the mix. Concrete bleeding can have multiple negative repercussions on a project: it can prolong construction, cause poor bonding between layers of poured concrete, and make the mixture harder to pump. As far as safety is concerned, the poor bonding between layers is the greatest structural problem from bleeding. There are, however, some remedies that can be attempted or preemptively enacted when bleeding occurs. The first remedy is adding more fine aggregate. Smaller particles have larger relative surface areas and are more likely to have a larger percent of their pores exposed, making smaller aggregates like sand much more absorbent than larger rocks. Adding more fine aggregate to the mixture ensures that excess water will be absorbed rather than allowed to float up to the top of the poured layer. 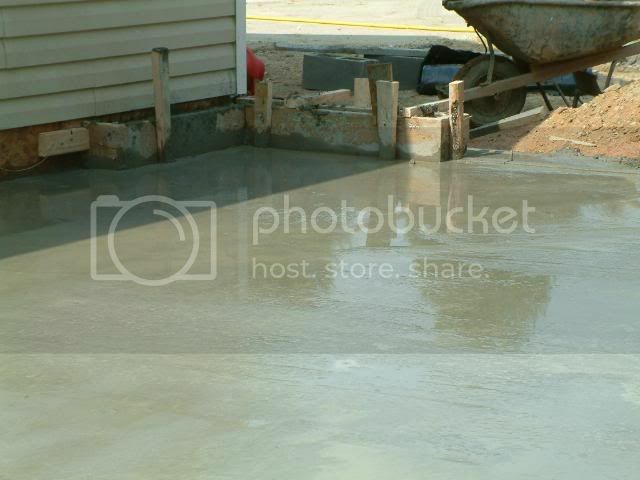 Conversely, reducing the water content of the mix would also prevent concrete bleeding. 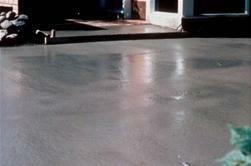 Another way to prevent bleeding in concrete is to entrain the concrete mixture with air bubbles. These pockets of air allow for water to be absorbed into when temperatures drop below freezing (thus preventing the concrete from cracking) but also allow for excess water to be trapped in the mix rather than separated from it.